Is the life of royal children so luxurious and carefree? How and who is involved in their upbringing and why are there more bans and rules than an ordinary child? It seems that the life of royal offspring is cloudless and luxurious - but how do representatives of modern monarch families actually bring up their children? What do they dress and play, what gifts they receive and what under the strictest ban? At the moment, there are 26 functioning monarchies all over the world: they all follow centuries-old traditions and rituals, including the cultivation and upbringing of children. In which kindergartens are the blue-blooded people going, what are they wearing and what gifts they receive? Why, finally, to bring up a real princess - is not such a simple matter? How are babies born of blue blood? The mother of the baby of royal blood does not have the slightest chance of keeping the fact of birth in secret, in order to enjoy minutes of silence and intimacy. First, every step is followed by paparazzi and fans, and secondly, immediately after the birth of another heir to the throne, the active monarch is notified. So, Prince William, most recently for the third time immediately after the birth of his son called his grandmother, Queen Elizabeth II on a secret phone, to please her with happy news. Funny, but he himself in his childhood could not pronounce the word "granny" - from the English. granny, which means "grandmother". So Her Majesty had no choice but to respond to a few irreverent "gary". The eldest son of William, baby George, turns to the crowned great-grandmother quite simply: "gen-gen."
The Duke of Cambridge himself took his wife and newborns from the hospital by car, and the delivery was already three times taken by a team of the best specialists in the kingdom, each of whom signed documents on the non-disclosure of any details. Who chooses names for royal children? In the European tradition - to give the child at once three, or even four names, and royal children - is no exception. But instead of a surname they often bear the name of a county. For example, the full name of the eldest son of Prince William sounds like this: George Alexander Louis of Cambridge. The little princess of Sweden is called Estelle Sylvia Eva Mary, the Duchess of Estergetland, and one of the twins of the princely family of Monaco bears the name of Jacques Onore Renier Grimaldi. The name is chosen by parents, listening to the advice of older relatives. What gifts are given to princes and princesses? Here, of course, friends and relatives try to impress the imagination - often not so much with the value of the gift, as by its uniqueness and originality. For example, the princess of Spain, at her first ten years' jubilee, received from the pope the title of the title, giving her the title of lady of the knightly Catholic order. Mother Keith Middleton , Carol, gave the eldest grandson a real zebra with a set for riding, and grandfather from Papa's side, His Highness Prince Charles - own house on wheels worth 18 thousand pounds, a fairy house, arranged directly on the tree, and Aston Martin. However, the car park of the little prince already has a solid amount of vehicles, and the cars are one more luxurious. The father has already presented the first-born Volkswagen GTI, the Beckham couple presented Range Rover, Aunt Pippa -Jaguar, Beyonce and Jay-Z gave Bugatti. His younger sister, Charlotte, received birthday presents from 64 countries: Australians gave a small princess a magnificent blanket of Tasmanian merino wool embroidered with mimosa flowers, a set of unique silk figurines came from China, and Stephen Couston created an exact copy of the poster "Snow White and the Seven Dwarfs" 1937. Ordinary residents of states also willingly throw off presents to small princes. For example, the inhabitants of Monaco together gave a beautiful brooch and watches from Cartier to princely twins, and pensioners of the Royal Hospital in Chelsea gave George, the son of Prince William, a toy dressed in their uniform. What do royal children dress? One of the most elegant is the monarch family of Spain: the young princesses of Sofia and Leonor often appear in fashion-fitting dresses, suits and coats. Prince George will wear shorts for up to 8 years - this is etiquette, but in general, his wardrobe can be considered a copy of daddy: the same classic sweaters, shirts in a recognizable cage and double-breasted coats. Kate Middleton and Charlotte often dress in similar in style and color dresses: to the indescribable joy of the British, the Duchess often buys clothes for children quite accessible to all brands of the mass market category. What do princes and princesses play? Almost all royal families are of the opinion that sports bring small and grown up children much more than gadgets: in the family of the Duke of Cambridge, for example, tablets are generally banned. Three children from birth play toys that develop logic and imagination - cubes, cars, soft toys and designers. The Netherlands princesses Amalia, Alexia and Ariana say that they adore jogging on the beach in the company of the whole family, including a dog, and the royal family of Belgium adores to ski in full. Many royal children have been seen many times with a simple and cute toy: the Norwegian princess Ingrid did not part with a long-legged bear in the tilde technique, the Swedish princess Estelle appeared everywhere with a plush lion in the crown, and the eldest of the Spanish princesses with a funny pink duckling. William and Kate hired a nanny from Spain to raise children: she accompanies them everywhere on trips and at receptions. With grandchildren very fond of spending time and parents Middleton. 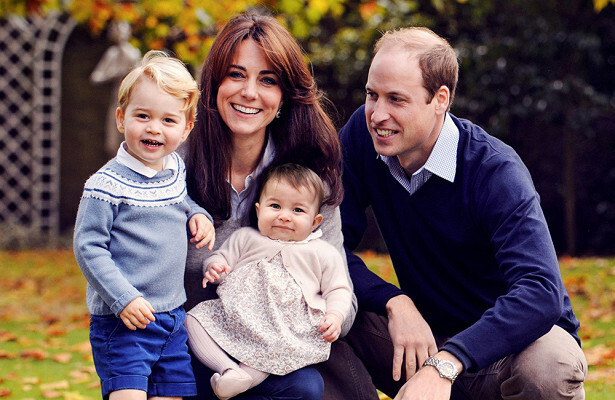 George goes to school, and little Charlotte - to a kindergarten near Kensington Palace. There, besides games, she studies pottery and classical poetry. The little princess helps Kate's mom cook in the kitchen - specially for her there is a corner built in miniature, but quite real. 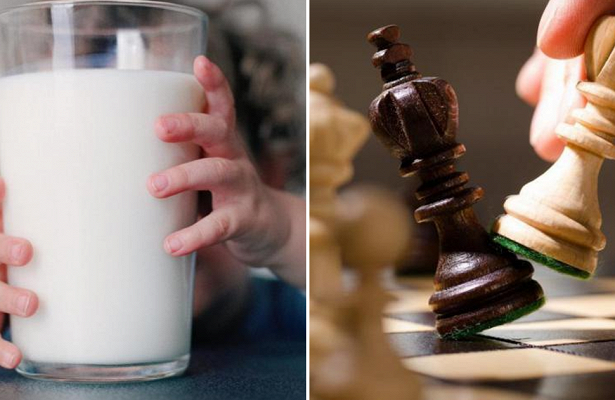 Children know that in case of hooliganism they will have to bear responsibility for the consequences: for example, the parents of the crumbs do not see anything shameful in cleaning up the food or toys scattered on the floor. Twins of the princely family of Monaco go to an entirely ordinary development school, where they communicate and play with their peers. In the palace, they clean toys and tidy up their own beds. The Swedish princess Estelle helps her mother to bake cookies for the holidays, and the Dutch princess can often be seen on a bicycle in the middle of a noisy street: she takes her children to the kindergarten in such a way. The children of the King of Belgium studied science at a Jesuit college, and Spanish princesses, along with a standard school curriculum, study with the governess Catalan, Galician, Basque, English and Chinese. Long-time goalkeeper and captain of the Turin "Juventus" Gianluigi Buffon published a touching message to the club, according to "Soviet Sport" . Six thousand one hundred and eleven days Six thousand one hundred and eleven moments of pure passion Joys, tears, defeats and victories Thank you Everyone has helped to ensure that every moment of my life in the form of Juventus was and she became my second skin.The skin I wore loved and respected, which I valued and defended with all my strength, "wrote the Italian. On Saturday, the 40-year-old goalkeeper will hold his last match for the "Bianconeri". "I came to the stadium by bike, I was so young, and on Saturday I want to leave from there, enjoying every moment and feeling the sadness of the team, and the joy of salutes." To understand that I will never be too far from the place that I call home. greet teammates and friends, whom I will never cease to call BROTHERS, "concluded Buffon. Goalkeeper stands for Juventus since 2001. As part of the Turin club, he was 11 times the winner of the Italian championship. Earlier, Buffon announced the withdrawal from Juventus after 17 years of performances for the club. Experts in the field of healthy eating told why dietary soda is dangerous for a diet. Like harmless sweeteners disrupt metabolism and wear out enzymes that protect us from diabetes. 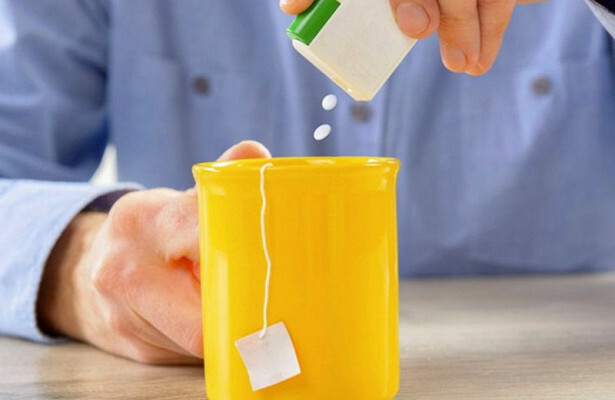 Nowadays, artificial sweeteners can be found everywhere, but science has not yet formed a consensus on whether they are useful or harmful. Sweeteners are synthetic (for example, saccharin or aspartame), or natural (stevia), that is, extracted from plants. To date, the US Food and Drug Administration has approved 6 varieties of artificial and two types of natural sweetener for use in food. Aspartame contains almost 6,000 foodstuffs consumed worldwide, and the American Diabetes Association officially recommends dietary soda as an alternative to those containing real sugars. However, medical research shows that sweeteners make their sad contribution to the development of chronic diabetes and cardiovascular diseases like real sugar. The problem with these seemingly non-calorie substances is that they are not digested during digestion into natural sugars such as glucose, fructose and galactose, subsequently used to produce energy or to be processed into fat. Sweeteners produce various by-products that do not turn into calories. For example, aspartame passes through a different metabolic process and does not become normal sugars. There is evidence that sweeteners affect healthy metabolic processes. Long-term use of sweeteners is associated with an increased risk of type 2 diabetes. Aspartame reduces the activity of the enzyme in the intestines, providing protection from diabetes. A sweetener deceives the body, which for sweet taste in the mouth expects to receive something high-calorie. As a result, the metabolic system is called dysregulated. In addition, sweeteners alter brain activity associated with eating sweet foods. A new anti-inflammatory drug developed by chemists of Perm State University (PGNIU) passed preclinical trials. The drug is highly active and does not show toxicity. 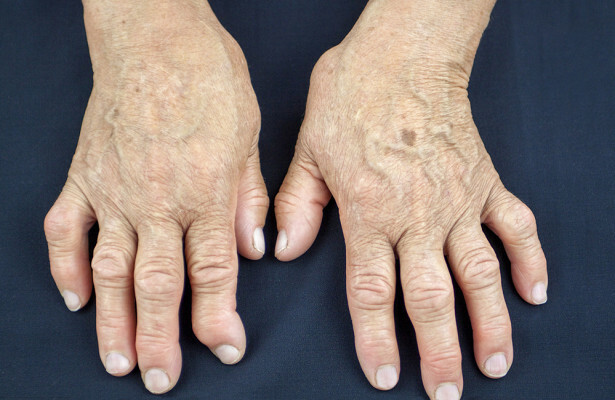 "The tablets are designed to treat arthritis, arthrosis and inflammatory diseases," explained Victor Kotegov, MD, head of the Department of Pharmacology and Pharmacy at PGNUU. - The drug has no ulcerogenicity, that is, does not cause a drug ulcer of the stomach. The molecule, which we were able to synthesize, has a selective effect on the body and low toxicity. This allows you to point to the focus of the disease and at the same time avoid side effects. According to the scientist, to find a substance with the necessary properties, experts have investigated more than two thousand compounds. Currently, negotiations are being conducted with investors for the next stage - clinical trials of the drug. Regular use of these products contributes to the improvement of cognitive functions of the brain, said scientists from the National Institutes of Health. American scientists compiled a list of particularly useful products for the mind, and headed this list of forest berries. The most effective in terms of a positive effect on cognitive abilities is the use of cranberries. "Cranberries contain a large number of antioxidants that literally help a person become smarter," experts said. Also scientists give out blueberries: as an excellent source of flavonoids, this berry, according to them, can be used to prevent age-related cognitive impairment. Flavonoids are a class of vegetable polyphenols that have antioxidant and anti-inflammatory properties. 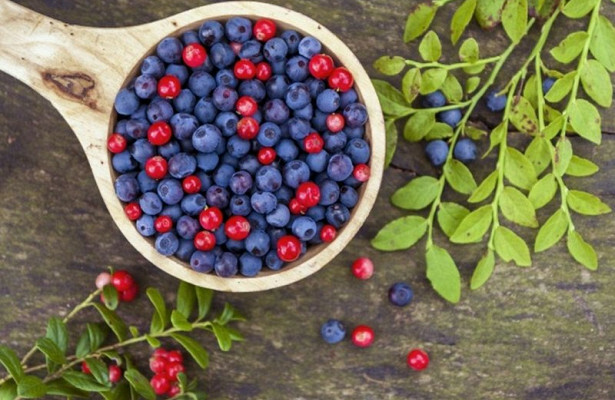 In the experiments conducted, the bilberry proved its ability to stimulate brain activity in elderly patients. In the event that you can not get forest berries, cabbage and beetroot can be added to the diet: they also contain microelements vital for the brain, experts suggested. In addition, scientific works convincingly demonstrated that cocoa beans, pomegranates and oranges can improve brain activity. In the 21st century, scientists were able to understand that the size and weight of the brain does not affect the level of intelligence. After this, experiments were started, through which methods of improving brain function and developing new skills were explored. We will tell you about popular misconceptions about the brain and provide recommendations on how to improve its performance. Of course, because of mental work the brain can not get tired, but its concentration can affect the physical and mental state. As it turned out, to improve brain activity it is useful to listen to the sound of waves, feel the sun breeze and admire the shades of blue. It is not surprising that during a holiday near the sea, a person is able to quickly restore his strength. Try to get out more often to the sea or another pond, to walk in the woods. When you are working on an almost impossible task, try to paint. Drawing can activate the work of both hemispheres of our brain and the solution to the problem will come sooner. It should be noted that according to the research, children better remember information in the lessons of mathematics, if they illustrate the new material in the notebooks. We also recommend drawing about 10-20 minutes a day using your left hand (if you are right handed). In a month you will notice a positive effect from such activities. It turned out that the vestibular apparatus can be strengthened at any age thanks to the swings. They also favorably improve the skills of spatial orientation, which is confirmed even by astronauts. Riding on a swing for 15-20 minutes several times a week can protect you from seasickness and relieve the consequences of excessive drinking. Surprisingly, among the people who have lost any sense organ, the "sixth sense" is observed. Often, the blind can feel the space around, focusing on their ears, smell or skin receptors. Several times a week, train your "sixth sense" using earplugs or a bandage over your eyes. In fact, the brain works better during physical training. After all, such exercises contribute to the development of hormones that affect memory, remember new information and preserve neurons. Scientists conducted an experiment among athletes, offering them in a break between the approaches to solve problems. It turned out that by engaging in physical activity, the brain copes with questions more quickly. It will be more useful to use other dairy products, because milk has a number of contraindications. Also, products such as wine or chocolate have a positive effect on brain activity. But the excess weight leads to the destruction of the nerve pathways and, as a result, to a decrease in brain activity. This is a false statement, because an adult can develop the same skills as a child. Among the surgeons are often found and those who after 30 begins to take lessons in violin playing, trying to develop fine motor skills. Do not be afraid to try those hobbies that you could only dream of in your childhood. Thanks to new skills, old neural pathways are strengthened and new ones are created, which prevents aging of the brain. According to statistics, optimists are easier to cope with errors and quickly come to the final goal. And pessimism and anxiety can increase the risk of heart disease by 29%, including seizures, not to mention an increase in the risk of malignant tumors by 41%. Caffeine, although it may temporarily increase brain activity, should not be abused. And you can improve memory thanks to books. Do not forget to read 1-2 books of different genres a week. It will also be useful to reread old works, "updating" the information in your brain. Get Latest Sports Events On the Sopt Into Your Inbox For Free, Just Enter Your Email Address, Verify And Join Our Newsletter!